Our underwater world is amazing— the kelp forests of Monterey Bay, the geology of the Channel Islands, pelagic animals of the Galapagos, ship wrecks of Truk Lagoon and the paradise of Indonesia—come experience it with the Finstads. 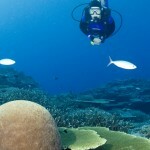 Our love of adventure travel has brought divers around the globe. A list of our destinations proves there’s no place we won’t go. And if it’s any good, we’ve already been there, which means our groups dive the best sites, on the best boats, with the best guides, during the best times of year. We continue to be among the first to organize trips to remote and rarely visited locations such as the Pemba Islands in Africa and the Mergui Archipelago in Burma. The adventure doesn’t stop underwater: Amazon River kayaking and Serengeti safaris are examples of side-trip extensions. Our goal is to design your dream vacation, and make it seamless. Upcoming trips are currently filling; contact Kristy and Dan with any questions and to start your next adventure! 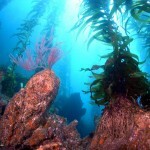 Diving in the kelp forest is an amazing, unforgettable experience. 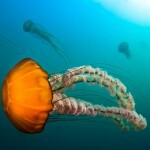 I think it’s the most beautiful habitat in our underwater world.